*impact is possible if we do our part to give brain injury a louder voice. Save the date! 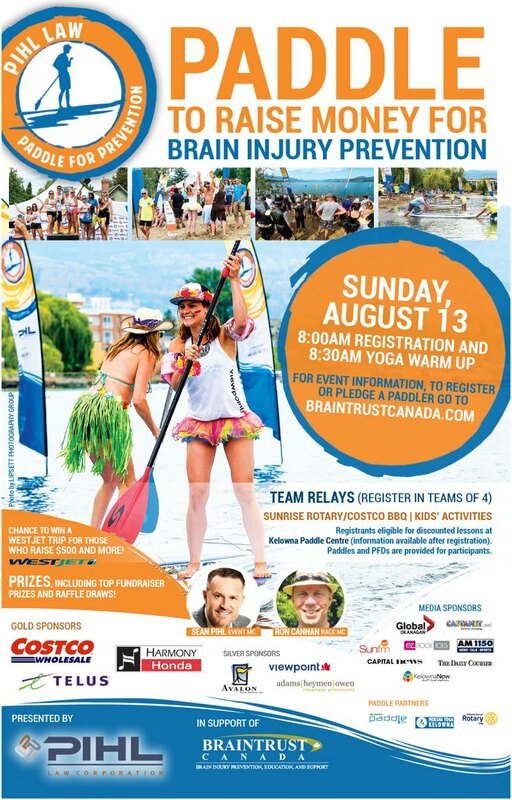 August 11th 2019 will be the 5th year for the Pihl Paddle for Prevention in support of BrainTrust Canada Association! Are you a past paddler wanting to compete again? Or maybe you've always wanted to try paddle boarding? Now's the time to start planning your teams of 4! Help us celebrate by reaching our goal to have 50 registered teams and to raise money for a very worthy cause. More information to come over the next couple months! 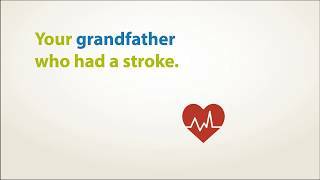 Good Company Valley First, a division of First West Credit Union is partnering with BrainTrust Canada Association to support their continued efforts towards wellness after brain injury! 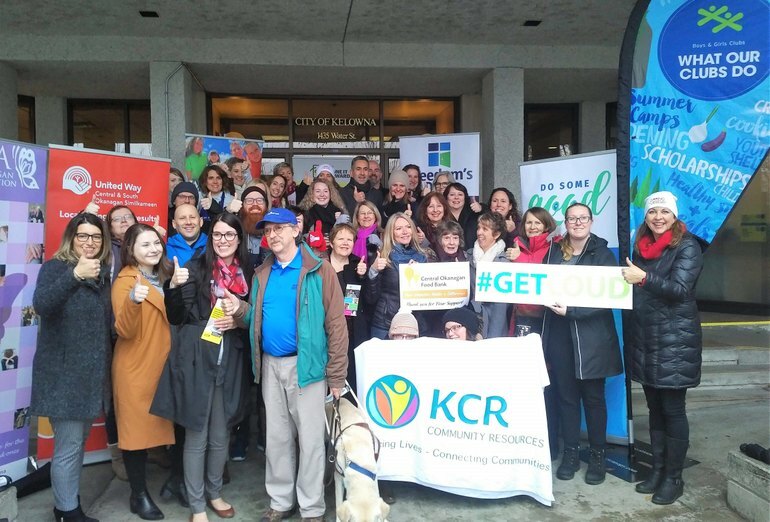 This is a health concern that has touched many people's lives and it's great to see our partner supporting this cause! 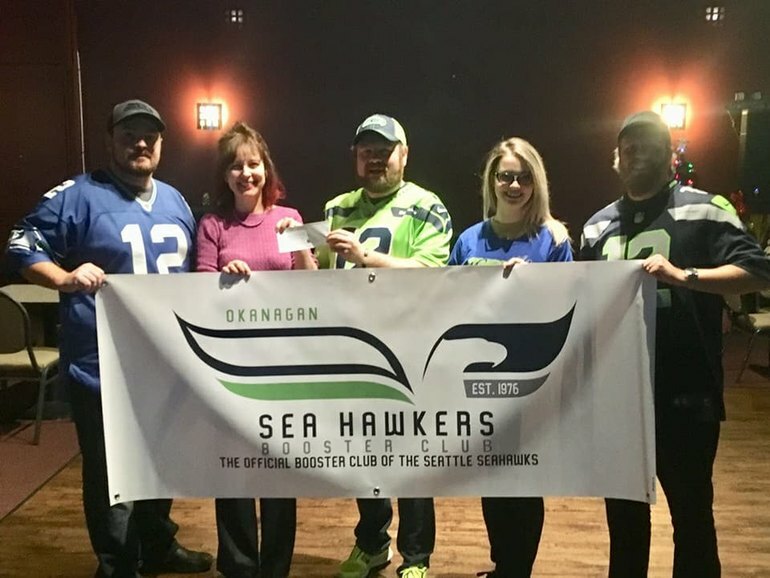 Earlier this year, the Okanagan Seahawkers hosted a poker tournament to raise funds for BrainTrust Canada Association - the event raised $1,250.00 for this excellent charity in our community! 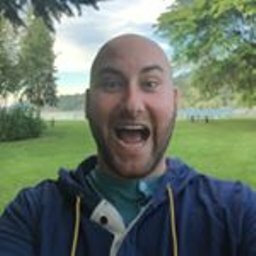 As the 2018 NFL season approaches, we are looking to add more members to our group (including volunteer board members!) for our viewing parties and charitable activities in the community. 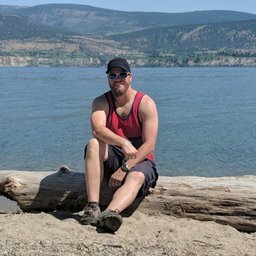 If you'd like to get involved with a great bunch of Seahawks fans to have a lot of fun every Sunday and do some good around the Okanagan as part of the #12s4Good campaign, drop me a line! It's time to start practicing your paddling! The Pihl Law Corporation Paddle for Prevention fundraiser for BrainTrust Canada Association is only 8 weeks away! 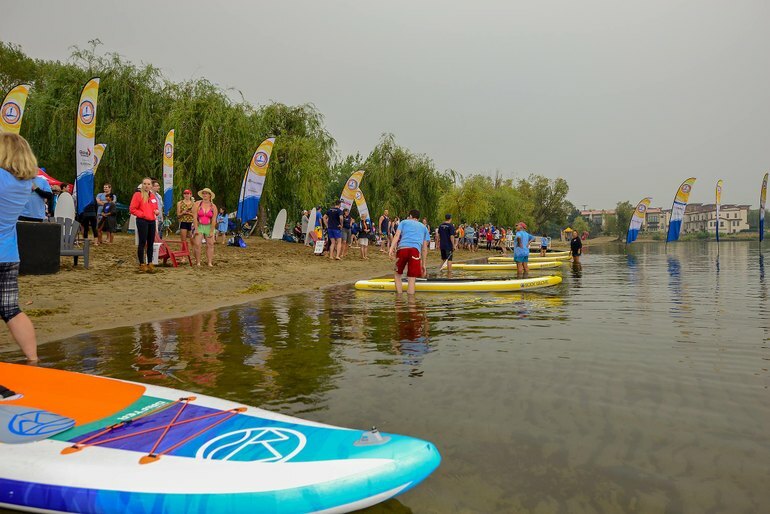 Registration includes the use of a board, paddle, and personal flotation device, swag bag, and barbecue lunch. 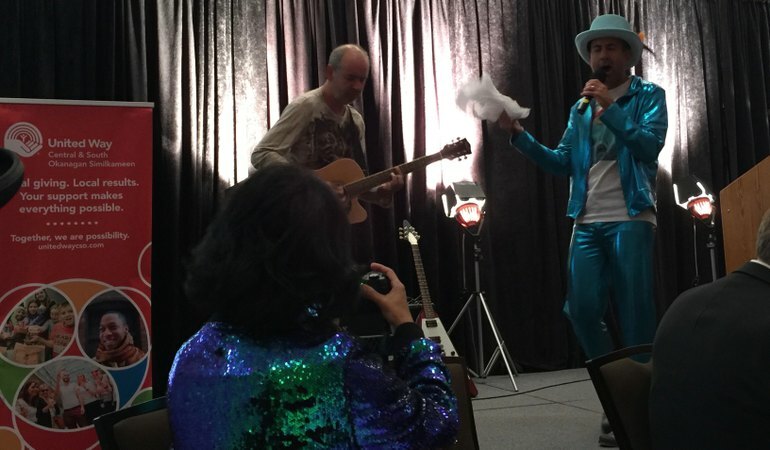 Raise $250 or more and you will receive a $25 COSTCO gift certificate. Raise $500 or more and your name is automatically entered in a draw for a trip for two anywhere WestJet flies. Along with several 'door' prizes, there will also be prizes for the top individual fundraising totals, best team costumes, and best sportsmanship. Registration is now open to the first 50 teams - don't miss out! visit https://braintrustcanada.com/pih... for more info!